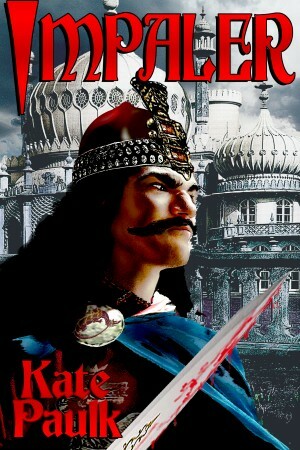 All of the things I described in the previous posts dug up a fair amount of information about Prince Vlad Dracula. What they didn’t do was give me any idea how to portray him in a way that allowed people to identify with him without whitewashing his sins or hitting the default position of “evil monster”. I spent a fair amount of time putting off starting the story while I mentally experimented with different ways to open and bring Vlad into the story as a sympathetic figure. Nothing I tried went anywhere, I think because I was trying to force the piece into close third person (so key events happening outside Vlad’s sphere of information could be shown) and it simply did not work. When I tried first person – Vlad, of course – everything snapped into place so hard it could have been physical. From that moment, Impaler flowed. The only times I slowed down were when I need extra research (just try finding specifics about Varna’s architecture in 1477) or when I was physically not able to write (mostly because I was doing my paid job). Writers talk about pieces that effectively write themselves with a mix of awe and plain, old-fashioned fear. Now that I’ve ridden the crest of one, I think I understand. I could not – and more than a year later, still can’t – evaluate Impaler at all. I had no idea if I’d taken a massive leap in what I was doing or if I was deluding myself and the thing stank like week-old fish in midsummer. It’s exhilarating, but it’s surfing the tsunami. There’s a near-perfect synthesis of conscious and subconscious that emerges in words on the page or the screen. That was writing Impaler. Onto that, I had to impose a certain amount of order – which largely meant filtering what ended up on the page so that a moderately accurate view of Vlad emerged over the course of the book. That in itself was a challenge – how could I balance the portrayal of a man who would causally order someone’s impalement, then spend hours in prayer and atonement? One of the earliest decisions I made was that I wouldn’t show Vlad in prayer any more than absolutely necessary for the plot, not least because someone who’s praying isn’t doing anything and I really did not want a hundred thousand words of guilt-ridden navel gazing. Aside from anything else, it doesn’t fit the evidence – which suggests that Vlad was able to mentally “wall off” emotions and such in order to do what he needed to do. It’s a learned skill, and one that probably did a lot to keep him sane (for 15th century Eastern European values of sane). The politics of the time, the constant maneuvering for advantage and power and the rather cut-throat (often literally) internal disputes got a fair amount of time, in part because it showed Vlad in circumstances where he was far from comfortable. Battle tactics also take up a fair amount of the book: Vlad obsesses about strategy. Actually, this was one of my bigger challenges. Vlad was a brilliant strategist who more than once defeated much larger armies (Side note: Vlad was also well known for calling for volunteers for his riskiest ventures, and often led them himself). I had to learn a lot about tactics and strategy in the era and region, as well as the constraints commanders dealt with – although ultimately the focus was on eliminating as much of the enemy force as possible before the foot soldiers met, because after that it tended to become a case of every man for himself and anyone you’re not sure of is the enemy. In the battle sequences I tried to filter, to give the sense of the sheer carnage of this kind of battle (this is something which is never shown on film. You wouldn’t be able to release the movie. It wasn’t uncommon for nearby rivers to run red for days afterwards, and not everything in the water was liquid. Watch the battles in the second and third Lord of the Rings movies, and look at the ground. It should be bloody mud) without sending readers racing to worship the porcelain every few sentences. All of this pales beside the challenge of portraying Vlad’s emotions. Part of the issue is that real people and their lives are allowed to be full of contradictions and things that don’t make sense. Fiction requires a narrative flow and a causality related to the actions of the protagonist. Another big challenge here is self-imposed: I did my best not to change existing history except where Vlad’s survival impacted it. That meant – among other things – that I couldn’t perform personality surgery to make my life easier. Instead… Vlad was known to be thoughtful, intelligent, and reflective (although the descriptions tend to be phrased in less flattering terms). I posited that his twelve years under Matthias’s thumb was a time Vlad spent at least in part doing some serious contemplation – particularly about how and why he lost Wallachia – leading to a decision to try a mix of carrot and stick rather than just large well-greased stick with rounded end. By making this assumption, Vlad’s decisions and the fragile balance he strikes with the boyars makes sense. Similarly, he initially decides to avoid carnage in favor of speed and secrecy so he has a chance – albeit small – of success. The reaction of the people affected by that decision is initially a surprise: Vlad’s letters from his previous campaigns makes it clear that standard practice was to slaughter everyone, loot what wasn’t destroyed, and leave a trail of devastation in one’s wake. Add to this a father concerned for his too-naive adult son and his two very young boys, and a man who dearly loves his wife and is devastated by her death, and you’ve got a complex tangle of emotion that allowed me to portray Vlad in circumstances where he’s going to be sympathetic. One thing I did try to do was show Vlad’s personality through action. Sometimes it’s action in dramatic contrast to his thoughts. At other times Vlad is fully in the moment and thought and action are unified. Depicting the man behind the monster of popular culture was a hugely challenging task, and one whose success I can’t judge. All I can say is that I don’t think I could have done it better than Impaler. Everything else is for readers to judge. Kate, not planning on writing about Elizabeth Báthory next are you? Not yet. However, who knows what will happen?